us help everyone by following our Creed, especially to be too strong for lies, too noble for gossip, too strong for the devil and too confused to recognize trouble. Amen! Bob Duffy, who was CNO president during the 9/11/2001 attacks in New York, told us a memory from that day. September 11, 2001 was a Tuesday and the attacks happened right before the CNO lunch. It was an odd feeling not knowing exactly what has happened and what to think or say about it. There will be no lunch on September 25, 2018. Instead we will be having our installation dinner that evening at Canopy Creek Farm. Jesse Gaither, CNO 2.0 committee, announced that the next CNO 2.0 meeting will be on September 20, 2018 at 5:30 PM, Heavier than Air Brewing Company. Speaking will be Sarah Williams from Hannah’s Treasure Chest. Diane Arehart, social committee, announced that the next social event will be on October 4th, 2018 at Breakout Games in Centerville with pizza after at Donato’s Pizza. Sign up at a meeting or email Diane Arehart at dla08@arehart.com. Chris McAlpine announced the next board meeting will be Monday, September 17, 2018 at 6:30 PM at Audio Etc, and it will focus on budgeting. Note that the meeting is on a Monday this month, not a Tuesday. This meeting will include all current and soon-to-be board members. Chris McAlpine announced that Tri-Star Soccer still needs volunteers. The event will be on September 21, 2018, from 6 PM to 7:30 PM. Be sure to invite children aged 4-13 to come and participate in this free event. Mike Bevis introduced Adam Blanchard, the Director of Donor Engagement at Dayton Children’s Hospital (DCH). He thanked CNO for our ongoing donations to DCH. Mr. Blanchard introduced Dr. Mukund Dole, MD, who has been at DCH for 21 years. He started off thanking us for the quarterly breakfasts we sponsor for he and the team; please keep them coming everyone truly enjoys them. Donations from CNO have helped fund the patient tower at DCH that opened on June 5, 2017. It has State of the Art technologies and conveniences. In the Dayton area there are 50 new patients each year with childhood cancer. Pediatric cancer is truly bad luck. It is not because of lifestyle, exercise levels or diet which are the causes of a lot of cancers in adults. Pediatric cancers can be cured about 85% of the time. About 42% of adults with cancer are cured. Treatment for pediatric cancer is the same across the U.S. through a nationwide network of doctors and protocols. Because of DCH, right here in Dayton patients can receive phase 1 and phase 2 procedures without traveling. He thanked us for our support which makes the services possible in our region. Dr. Dole introduced Kate Barrett. She thanked us for making Children’s the beneficiary of the Golf Outing’s proceeds. The money we raise helps families by making it so they do not have to worry about where to eat or stay while their children get treatment. The money is also used to help educate newly diagnosed patients and to help cover high deductible insurance and co-pays for the drugs patients receive. She specifically mentioned how much the kids and the families love the Build-a-Bear events. Additionally, she told us the new patient tower is wonderful! There were 13 new technologies just added recently. Next year stem cell bone marrow transplants will be possible at DCH. This will help even more families stay close to home while their children receive treatment. Mike Bevis thanked volunteers and sponsors for the 2018 Tom Frazier Tee Off for Youth Golf Outing at Sycamore Creek Country Club that was held 7/16/2018. Thank you, Mike, for today’s report and for chairing the wonder golf fundraiser! Chris McAlpine presented a check for $12,000 from the event to the representatives from Children’s Hospital. Another check for the patient tower was presented for $5000.00, which is the 4th installment of our $25,000 commitment to the tower. Next year the 28th annual golf outing will be held on July 15, 2019. Good afternoon and thanks Chris for the time today to thank everyone for their efforts on the 2018 Tom Frazier Classic Tee Off for Youth Golf Classic. It is always a fun day to celebrate and recognize those who work so diligently especially during this record year. It has been two months since that hot steamy day in July. We’ve had some time to reflect on our success. Every year we spend more than six months planning this event and, of course, we spend the same amount of time asking you to volunteer, golf, sponsor and donate. So as you can see, this is a total club project. Thank you to everyone for working so hard to help with this effort. With more than 1,000 golf outings each year it seems to get tougher each year. But with your help and Sycamore Creek CC, we had another excellent year. We brought in 140 golfers (a record and 20 more than last year) and delivered $36,000 in revenue for our club. I would like to recognize our committee, starting with co-Chairs, Bob Foster and Donna Huss. Additionally, thank you to committee members Sarah Umbreit, Vince Reidy, Steve Kohls, Pat Behn, Val Huff, Vida McDowell, Sue Brubaker, Charlie Tapp, Ellie Parker, Roberta Taylor, Denise O’Neill, Jean Pummill, Judy DeMarco and Barbara Santo, Deb Ulrich, Kristin Passidomo, Mandy Ransdell, Paul Webendorfer, Deb Saunders, Beth Duncan, June Bosworth, Bob Burkman, John Spears, John Thompson, Chris Ziehler, Julie Walling and Greg Griffin! There were also more than 50 other volunteers who gave their talent and time to help on July 16. How about a big applause for your tee off for youth golf committee….25 plus members. While our committee steers the success of this event, our sponsors are the people who provide the dollars to help drive our programs and our support for Dayton Children’s annually. Wow…what a lineup. Thank you to all our valued sponsors for making the 27th Annual Tee Off for Youth such a tremendous success. And now for the fun stuff……many, many of you volunteer and spend time at Dayton Children’s Hospital. 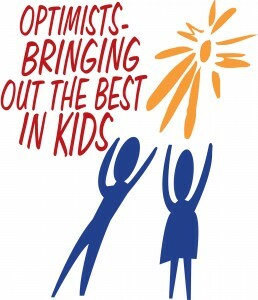 If you have ever visited Dayton Children’s, you know why we all do what we do….we try to bring out the best in kids. 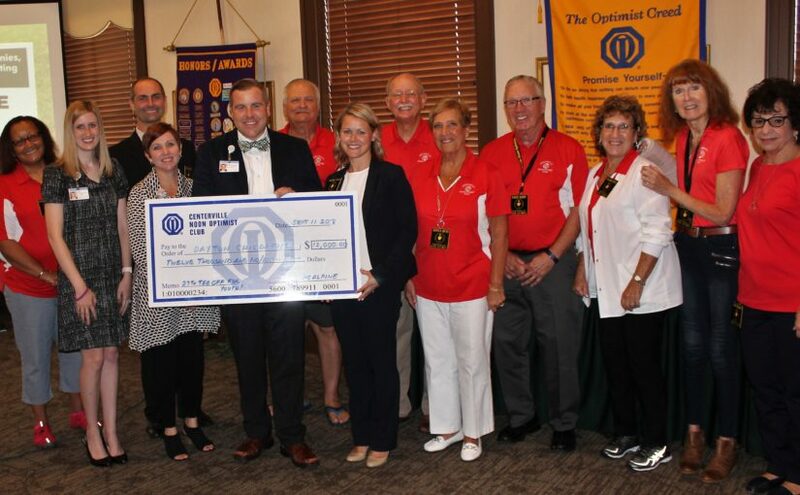 The Centerville Noon Optimist fund works miracles and helps families. And that is the reason that everyone we have just mentioned works so hard to pull off such an extraordinary event.